One of the most prolific pianists of the new millennium, American Marc Copland has a lyrical sense of touch and a deep sense of swing. He has worked extensively with John Abercrombie and Gary Peacock, and as a young sax player, Marc met Stan Sulzmann in London. Stan encouraged him tremendously and after Marc switched to piano, he and Stan played together whenever they could. The combination of Stan’s skill on the sax, combines with Marc’s world-class trio featuring his fellow Americans bassist Drew Gress and drummer Joey Baron, who have played with numerous jazz luminaries including Chet Baker and Randy Brecker. 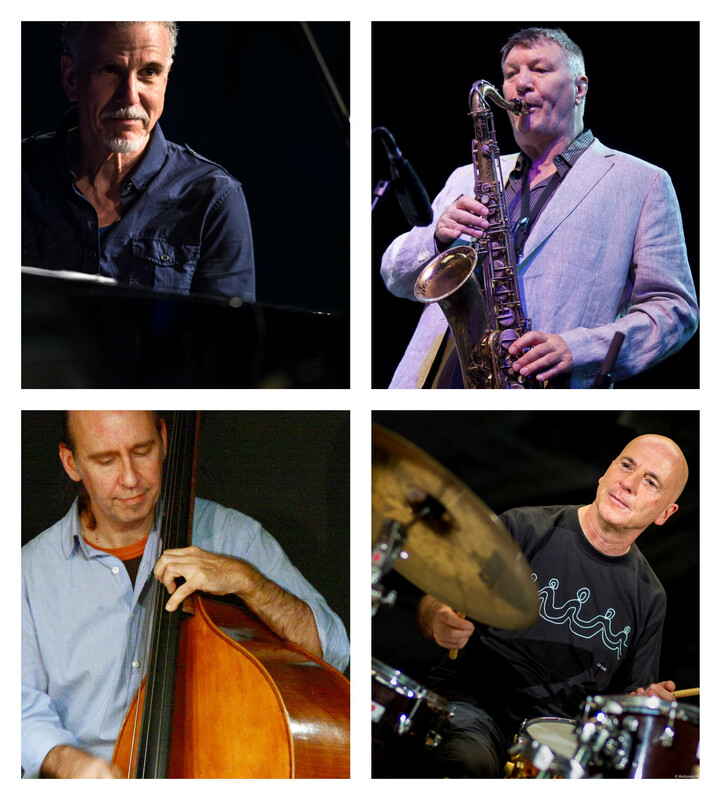 Four unique musicians, each a top-notch player, composer and bandleader in his own right, join forces for what promises to be an evening of sophisticated, innovative and tuneful jazz.